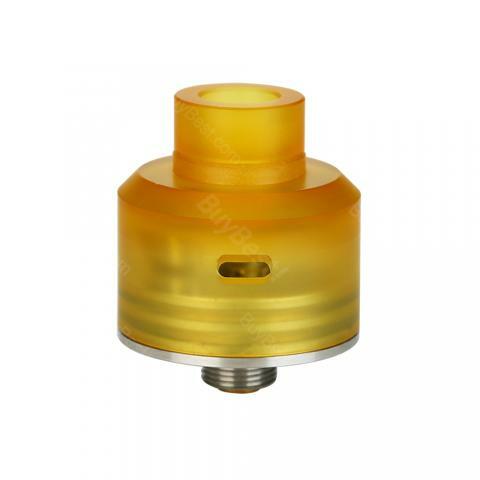 Arctic Dolphin Crea is a tiny BF RDA with 22mm diameter. Designed for single coil fans, it adopts dual-post build deck for easy building and deep juice well for large storage. Crea comes with an extremely cheap price. Coming with a tiny size, Arctic Dolphin Crea is a bottom feeding rebuildable dripping tank with 22mm diameter. It adopts the dual-post single coil build deck, making building very easy. The juice well of Crea is deep for large storage. Owing to the dual angled side airflow holes, Arctic Dolphin Crea can produce decent flavor and huge clouds. Moreover, it has high compatibility with most squonk mods on the market and other 510 drip tip choice if you want. Most importantly, the price is extremely cheap as BF RDA. 3 colors to select. Arctic Dolphin Crea BF gefällt mir sehr. hat aber zu wenig Volumen für stark raucher. aber auf der arbeit perfekt.